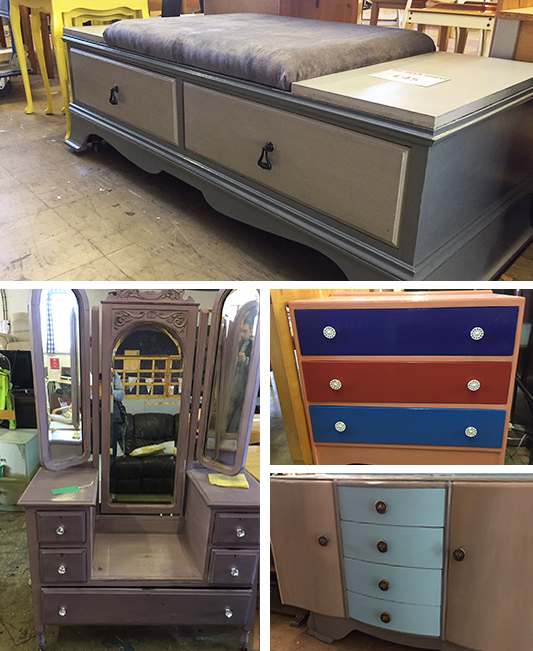 Staff, clients and volunteers give unloved furniture a shabby chic look, upcycle, paint and restore unloved secondhand goods. These are on sale to bring in some much-needed income for the charity. We also store items on weekly payment terms for those on low incomes, and we can deliver any purchases to you for a small charge to cover our costs. We are very blessed to have a lot of creative souls at the BrickWorks, who make unique artisan products such as, garden accessories and other household items from recycled wood, we also have a bespoke service if you have something specific in mind that you would like us to make. I have been upcycling and making bespoke furniture for over ten years. I paint canvases and enjoy creating new items from household junk most people throw away. Working in finance for over a decade, I mainly did this in my spare time, with primitive tools and an overactive imagination. 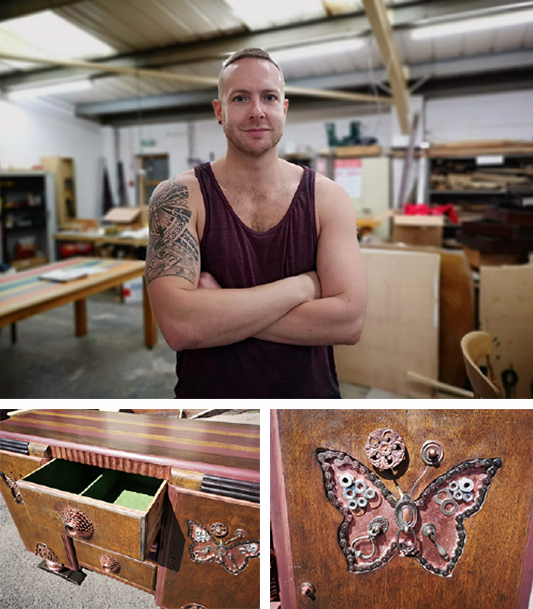 Whilst working towards a career change, I heard about the Brick in Wigan and volunteered to share my creative ideas in exchange for training on the manufacturing side, here I have learned to use all the tools available in a professional workshop, guided by the helpful creative staff and volunteers. I have just finished my first project, a large Victorian side cabinet which had seen better days (Haven’t we all..) . Hopefully I have breathed new life into it with some metal work, a few modern tricks and a lot of Love. I hope the person who takes it home loves it just as much as I do. I would recommend the Brick to anyone wishing to peruse a creative endeavor and look forward to creating my next piece which should be on sale soon.